Apple's free iWork for iCloud apps are capable, but depending on your needs they might not be the right tools for your business. Pages, Numbers, and Keynote join the iCloud ranks. 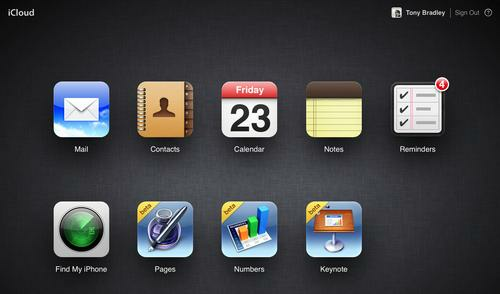 Apple has made iWork for iCloud available to the masses. It's technically still in beta, but now anyone can use the cloud-based versions of Pages, Numbers, or Keynote from an iCloud account. The question is whether or not iWork is the right suite of tools for you to use. Apple trumpeted iWork for iCloud at its WWDC event a few months ago. The tools provide Web-based equivalents to Apple's iWork apps, and join Mail, Contacts, Calendar, Notes, Reminders, and Find My iPhone on Apple's iCloud. Apple provides iCloud accounts with 5GB of storage for free. This is slightly less than the 7GB Microsoft provides by default for SkyDrive accounts, and only a third of the 15GB Google supplies for Google Drive customers. The tools themselves are capable. They look and feel very close to the experience provided by the desktop and mobile versions of the iWork tools. In general, the iWork tools are not as comprehensive or capable as their Microsoft Office counterparts, but they are more than adequate for most users' needs. You can drag iWork or Microsoft Office files from your desktop into the browser window to upload them to iCloud. One of the benefits of using the iWork tools is all the data is synced through iCloud. Any changes you make in the iWork for iCloud apps is automatically reflected in the desktop and app versions, if you have them. The iWork suite of tools is less expensive than its Microsoft rival. Pages, Numbers, and Keynote cost $20 each in the Mac App Store, and the mobile equivalents are $10 each. The iOS apps work for both iPhone and iPad, but it will still set you back $90 to get all three apps for Mac OS X and iOS. The advantages of iWork for iCloud are intertwined with Mac OS X and iOS. The tools are available for Windows users or those who choose a mobile platform other than iOS, but the value of using them is a function of how well everything in the Apple ecosystem plays together. Those in the Google/Android world are better off sticking with Google Docs, and those in the Windows/Windows Phone environment should use Office Web Apps and Office Mobile Apps. It's this simple: If you are Apple-centric, iWork for iCloud makes sense. You will appreciate the way things sync and the consistent experience from one device or platform to the next. One caveat, though, is that iWork only has equivalents for Word, Excel, and PowerPoint. If you abandon Microsoft Office entirely, you'll have to embrace Apple Mail, Calendar and Contacts as well, or find some other alternative for the functions of Outlook. If you need other Microsoft Office tools like Access or Publisher, you'll need to buy them a la carte, or find suitable replacements.